Howard Dvorkin is the Founder of Consolidated Credit Counseling Services, Inc., a leader in the non-profit debt-counseling arena. He is a certified public accountant, a certified credit counselor, and a noted financial expert on consumer credit, and personal financial planning. His new book Credit Hell - How to Dig Out of Debt details how to rise from the debt inferno, the basics of good credit, consumer rights, credit related law, warning signs of credit problems, and a step-by-step budget organizer. As an expert who examines consumer credit trends, Dvorkin has been quoted in The New York Times, CNN, The Early Show, CBS Nightly News, Consumer Reports, among others. He has also been instrumental in the growth of the Association of Independent Consumer Credit Counseling Agencies (AICCCA), a national trade association for the consumer credit industry. Dvorkin is the past President of the AICCCA and has held positions as the Vice President, and Chairman of the Client Retention Committee. He is dedicated to public outreach initiatives and has contributed his time, knowledge, and resources to educating consumers about personal finance. He has helped thousands of individuals face and conquer devastating financial hardships and avoid personal bankruptcy. Recently, Howard Dvorkin took some time to share his expertise with LoveToKnow readers. He shared a lot of quality information that will prove to be helpful to almost everyone regardless of their financial situation. Enjoy! What kind of information is included in a credit report? Identifying information, including your name and address, Social Security number, the name of your spouse, and the name of your current employer. Information about your credit accounts. This section of your credit report provides a detailed history of how you have managed your accounts over time. Among other things, it indicates the date you opened each account, if and when you have ever exceeded your credit limits, your current account balances, your monthly payment amounts, how often you have been late with your account payments, whether any of your accounts have been sent to collections or written off, and so on. 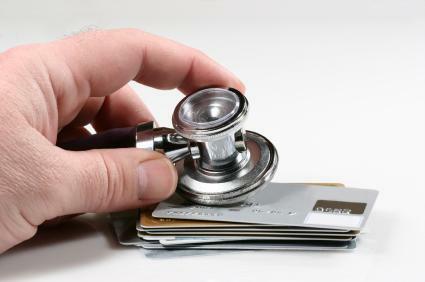 This is the heart of your credit record. Public record information including information about any bankruptcies you may have filed over the past 10 years, unpaid tax liens, court judgments against you, and so on. Information about any inquiries regarding your credit record information. The inquiries could be the result of your applying for new or additional credit, or because a creditor or insurance company wants to send you a pre-approved offer. The inquiries could also exist because your current creditors checked out your credit history to determine whether they should change the terms of your accounts, increase your credit limits, or some other action. What is a credit score? Are scores included in a credit report? The credit score, which ranges from 300 to 850, is basically a quantification of an individual's creditworthiness. Generally, people with scores below 620 are considered poor risks, and those with scores above 680 are considered acceptable risks. The median score in the United States is 723; typically, the higher the score, the lower the mortgage rate a consumer will pay. To create a credit score, analysts use information in credit reports, account histories, or applications. Their goal is to accurately identify the consistency of your timely paid accounts, as well as your delinquent accounts. The results of all this computing and analyzing, is a number that is your credit score. The two most important factors that go into your credit score are your payment history (have you paid your bills on time?) and the amounts you owe (how much debt do you carry?). Together, these categories make up about two-thirds of your credit score. That means if you want to improve your credit score focus on paying your bills on time and paying down debt. If you are having difficulties paying down your debt on your own, contact a credit counselor for free advice at 800-728-3632. The Fair Isaac Corporation, a Minneapolis data management company, developed the formula that is applied to raw data in consumer credit files of the three large credit-reporting bureaus: Equifax, TransUnion and Experain. The result is known as the FICO score. Your FICO score is not on the credit reports from the reporting bureaus, you must pay separately to find out what your score is. How often should people check their credit report? At least once a year. Consumers can obtain a free copy of their credit report from each bureau by going to annualcreditreport.com. We suggest that you get your free copy and then if you are thinking about taking on new credit, buying a large ticket item, or have had questionable items on your report, then you should get your report twice a year. If you want to review your credit reports more frequently, you can order directly from the credit reporting agencies via their Web sites, by phone or mail. Costs vary from state to state, but in most states, it can cost up to $9.95 to get your report. TransUnion, Equifax and Experian all allow you to review your report online. What should someone do if they find an error on the report? If there is evidence of bad debt, can it be removed or corrected? If there is a problem in your credit record and you receive a copy of it in the mail, complete the investigation request form that should come with it. After you fill out the form, make a copy for your files and send it to the appropriate address via certified mail with a return receipt requested. If a form does not come with your credit report, your report should provide a phone number to call to initiate an investigation. If you order your credit report online, go to the credit reporting agency's web site and follow the directions for requesting an investigation. Tip: If you have any information that you think will help prove the problem in your credit record-a cancelled check, a letter, a legal document, or a billing statement for example-make copies and attach them to your completed investigation request form. Once the credit bureau receives your request for an investigation, it must complete its investigation within 30 days. As part of its investigation, the credit reporting agency is required to contact the provider of the information you think is incorrect within five days. The provider must certify whether or not the information is accurate. A corrected copy of your credit report. A notice informing you of your right to have the credit bureau send a corrected copy of your credit report to any employers who reviewed your credit report over the past two years and to anyone else who reviewed it over the past six months (or over the past 12 months if you live in Maryland, New York, or Vermont). How does bad debt affect your credit score and your ability to get loans and other forms of credit? Late payments can generally stay on your credit report for seven and a half years. Collection accounts and charge-offs can be reported for seven and a half years from the date you first fell behind leading up to the collection account or charge-off. Bankruptcies may be reported for ten years from the date of filing, though the major credit bureaus will remove Chapter 13 bankruptcies (where you pay back some of your debts) seven years from the date of filing. Unpaid tax liens may be reported for fifteen years or longer. Paid tax liens may be reported for seven years. Keep in mind that: The older negative information becomes, the less of an impact it may have on your score; and new positive credit references can help improve your score, even if your credit report still contains negative information. That's why it is important, if you've had credit problems in the past, to establish positive credit references to boost your credit score. That does not mean you should carry debt. If you can't qualify for a regular credit card, for example, you may be able to get a secured MasterCard or Visa, which requires a security deposit. Use it from time to time for purchases you would make anyway and then pay the bill in full to avoid interest charges. How much can a poor credit score cost? In this example, the difference between an excellent credit score and a poor one is $4791 in interest! Do you have any additional advice for people who might have credit or debt problems? Let's be honest, it may not be easy to reduce your spending, and working more may not be your idea of a good time. However, never lose sight of why you are doing these things-to get out of debt, to build up your savings, to take control of your finances, and to reduce the stress in your life. Also, remember that some of the sacrifices you and your family may have to make to achieve these things may not have to be permanent. In other words, once your financial situation turns around, you and/or your spouse or partner may be able to give up your second job/s or your freelancing and you may be able to spend a little more. However, no matter what shape your finances are in, you should always live on a budget. Pick up a copy of Credit Hell: How to Dig Out of Debt (Wiley & Sons, 2005) to help you with virtually any credit or debt problem that you are having.